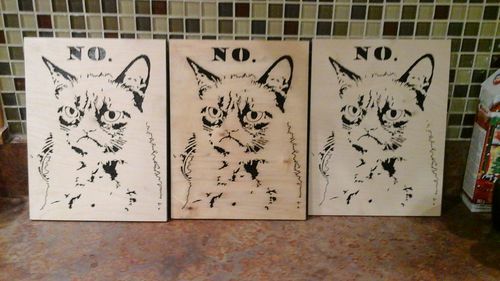 a trio of grumpy cats. thanks go to KnotCurser for the pattern. sorry,dude, i ate the reeses. will leave more tonight!